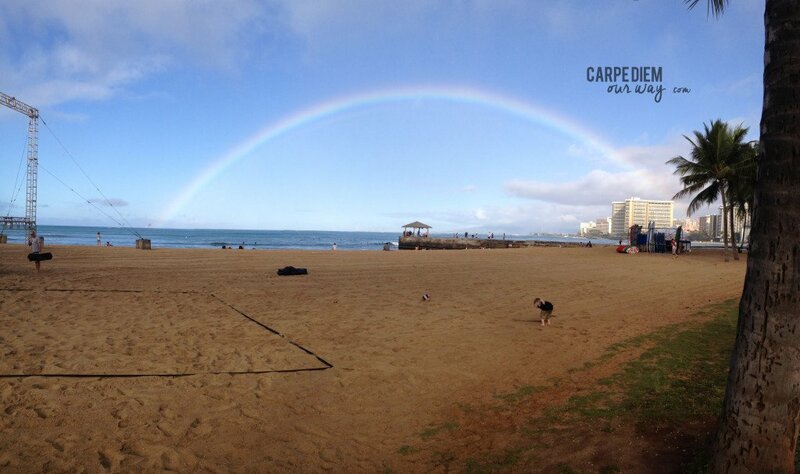 Hawaii’s year round warm climate makes it a popular destination any time of the year. You will find locals in pants and jackets in the winter but the temperature rarely drops below 16 ËšC (60 ËšF) and averages 19 C to 31 C (66F to 87F) throughout the year. 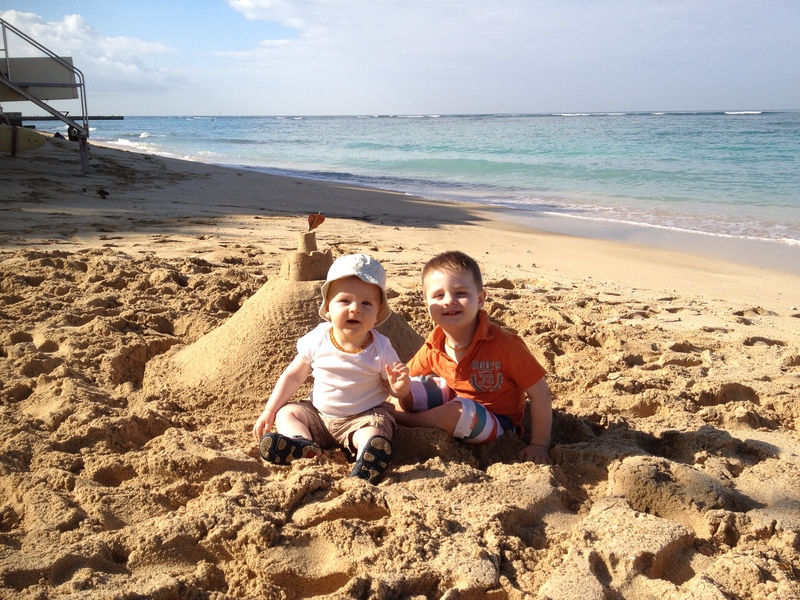 So when it is convenient for your family, Hawaii’s tropical paradise is waiting. But do keep in mind, it does tend to be more crowded around holidays and the busy season is December through March and again in the summer months. Our family has been in January and in March over spring break and although you see lots of tourists (that is a huge part of their economy) we wouldn’ t consider it too busy! 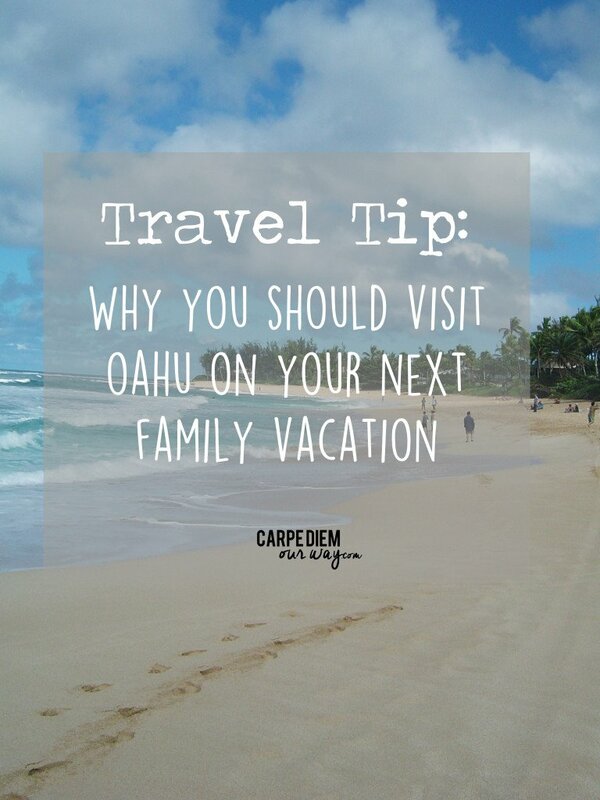 Check out all of the practical information on Oahu before your visit. For the inexperienced traveler, Hawaii is paradise still within the borders of the United States. Domestic flights only require picture ID. English and Hawaiian are the official languages and while locals will great you with “Aloha” (hello/goodbye/love and several other meanings) and “Mahalo” (thank you), you will find that English is spoken everywhere. It is also very easy to rent a car and navigate the roads. Try to stay away from hitting the highways at rush hour if you can). Furthermore, anything you may have forgotten you can easily obtain. Honolulu is a big city, there is no need to pack for every little emergency because you can grab it at any grocery, shopping or ABC store on every corner. While there are many Hawaiian Foods you should try, there are typical American comfort foods available everywhere! Consider taking a baby travel bed with you on your vacation so your little one is contained and will likely sleep better! If you have young children or traveling as a larger group, multiple hotel rooms are not ideal. In Hawaii, there are plenty of one and two bedroom condos with full kitchens, whether rented privately or direct from a hotel chain. These are a great alternative to a small hotel room and only slightly more expensive! 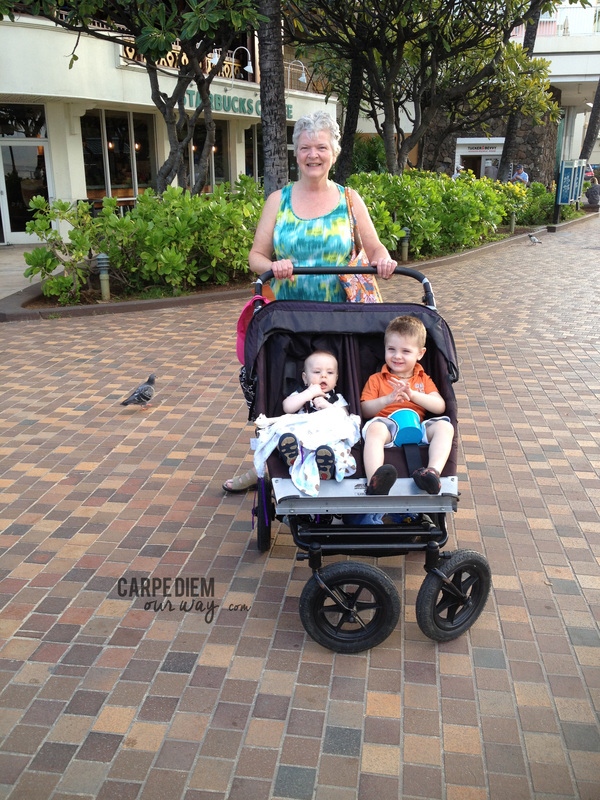 The roads and sidewalks are stroller friendly in Oahu, as are most buses. We travel with our Bob but any stroller will be able to navigate the sidewalks and side streets. 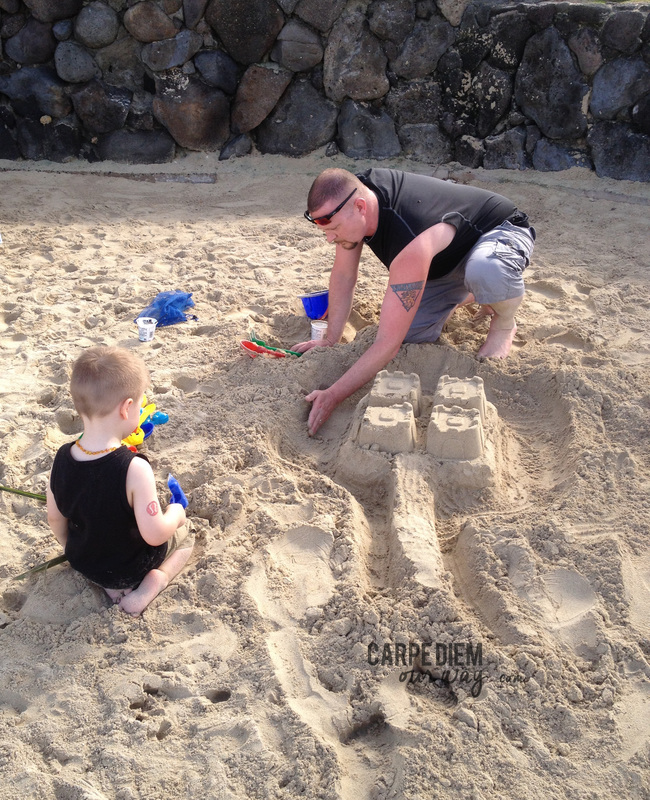 The beautiful beaches on Oahu provide a giant playground to occupy young and old for days! From building sand castles on the beach, snorkeling tours or surf board lessons, it’s a day your children won’t soon forget. For teens and adults you can also scuba dive in Hawaii! If you don’t like the crowds on Waikiki beach, head towards the Diamond Head and the beaches are much less crowded. 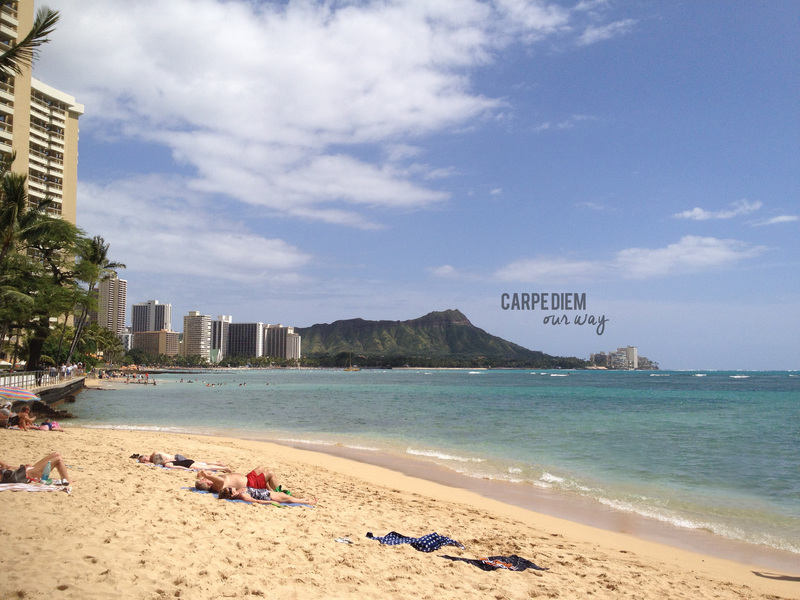 Here is a post on some of the best local beaches in Oahu. DON’T LIKE THE BEACH? DON’T WORRY! If you tire of the sand, the water, the shopping or the people-watching on Waikiki beach, consider a drive around the island and stop at one of the many beautiful viewpoints along the highway. 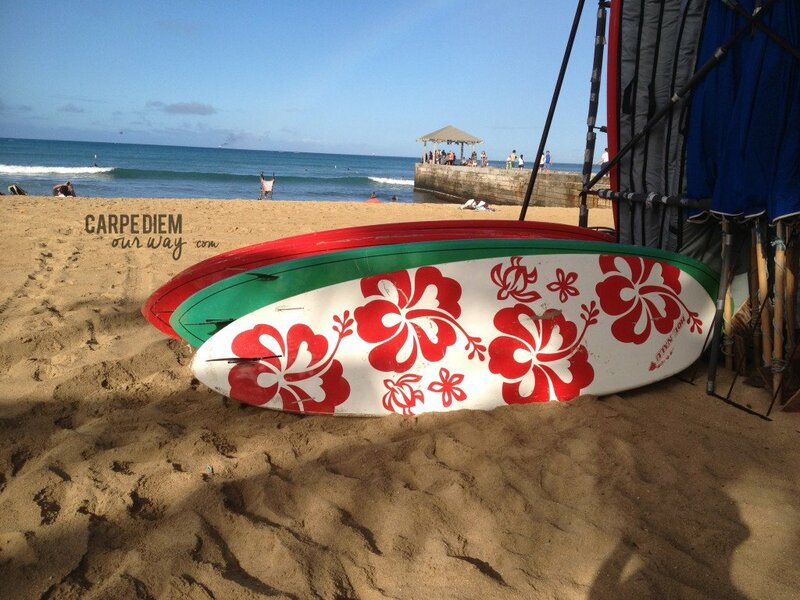 Don’t miss the big surf on the North Shore and make sure to grab a pineapple ice-cream at the Dole plantation! If you don’t want to rent a car you should still try to take a daytrip to the Polynesian Cultural Centre, or visit the Waikiki Aquarium, the Honolulu Zoo, or open up the newspaper and see if Kalakawa ave has a parade while you are visiting. If you are in for something unique, check out the most haunted places in Oahu. Hiking to the top of Diamond Head to watch the sunrise is also a “must-do” for visitors. The “Aloha” feel, It’s almost unexplainable, but there is just something about visiting this paradise that makes you feel instantly welcome and relaxed. When listening to the ukulele, you can’t help but get caught up in their way of life! 15 Things to Do in Oahu. Check out this post on the best baby beach tents to keep your little ones out of the sun! I love how compact they are! They make a great addition to any beach trip! 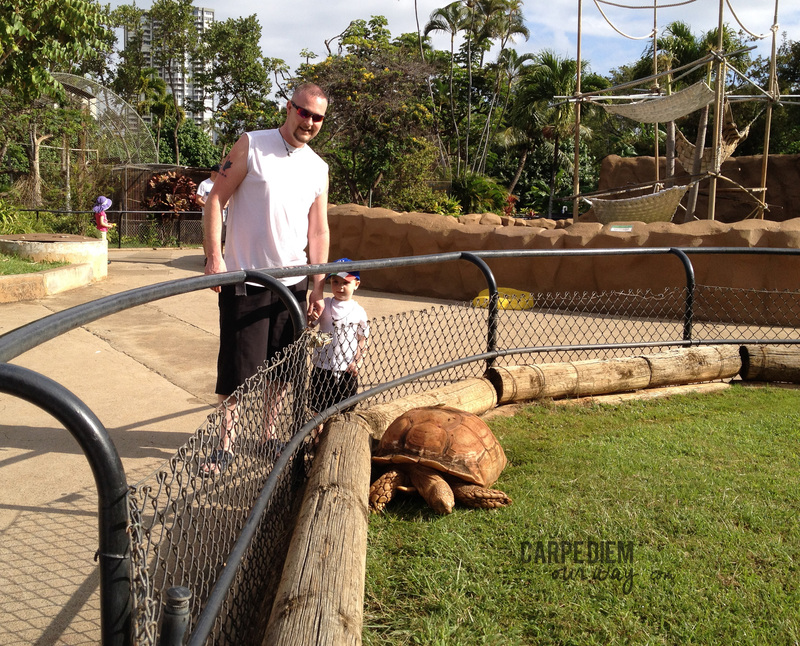 Do you have any great “MUST-DO” activities for families visiting Hawaii? Feel free to share in the comments! thanks so much Sharon! im glad you liked the post! Looks like some good family fun. I went to Oahu with my nine month old. That warm water and a backpack for hiking was the best. I think a visit at any age is a great idea. Made me miss the sun and sand because of this. Lovely pics and looks like you guys had a great time. I’ve always wanted to visit Hawaii! 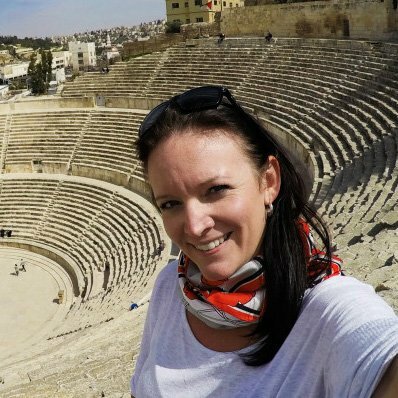 You’re kids are so lucky to be able to travel at such a young age. Excellent post and very cute family…all the best on your travels & seize the day! Thanks for this! I’m all for the American comforts in Paradise – we love getting out into nature and trekking, hiking, exploring, though then we like to retire to comfort int he evening, so Oahu definitely sounds like a good spot for us from this perspective. Thanks! Hawaii is definitely very family friendly. Great post! My daughter and I loved Oahu; we visited on a full-day-excursion when vacationing in Maui over Thanksgiving one year! Both my kids were in high school when we visited–both islands were very teen-friendly–with snorkeling and ATV-ing our favorites on Maui! After living on Oahu for quite a few years I can’t resist mentioning how so many travelers avoid Oahu because they feel its overpopulated, over rated, over the top commercialism, and feel its just a big city on a small island. That’s not quite true, sure it is busy but you never have a problem finding a good restaurant or something to do. If you have kids this is the best island to come to, they are never bored like they can be on the outer islands. There’s a zoo in Waikiki, not to mention the safe beach and plenty of other kids to get to play with. If you want some quiet, just head over to North Shore or take them to Sea Life Park. And, with kids you can still get good food they would like at a cheap price with plate lunches.